Recent news stories suggest some human resource departments failed to adequately respond to sexual harassment issues. Sophia Dean in 2015. After taking sexual harassment claims to human resources at two different places, she said she believes the departments work "for the company, rather than for the employees." Sophia Dean says she was 25 years old, working a dream job as a line cook in a fancy New York City restaurant, when a co-worker started harassing her, even trapping her in the walk-in refrigerator. "He would corner me, and like grab my arm, and he was just insisting over and over again that he was in love with me," she recalls. Dean was reluctant to report it to her human resources department, for fear that they'd see her as a threat to the company, rather than him as a threat to her. "I was worried that they'd rather move someone away who's whistleblowing, [to avoid] scandal," she says. "So I was worried I would be the one punished." Eventually, the harassment got so bad, she did go to her HR department, but she says they basically told her to ignore it. She says it went something like "sorry this happened to you, but that's the way kitchens can be." A month later, Dean quit and got a new job, only to experience similar harassment there, and she says, the exact same response from HR. "To me it confirmed they would much rather sweep it under the rug," Dean says. "I felt like they were for the company, rather than for the employees." She's hardly alone in her misgivings; just about a quarter of employees who experience sexual harassment report it, according to the Equal Employment Opportunity Commission, the federal agency that enforces workplace anti-harassment laws. 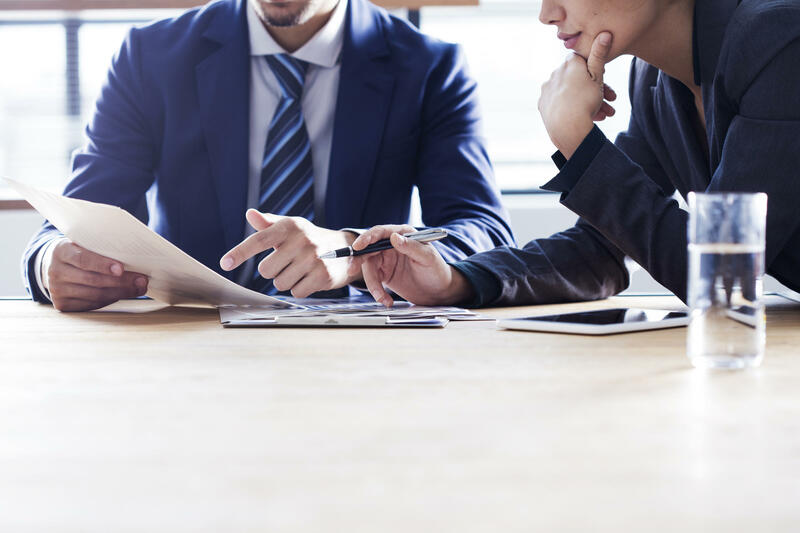 Even some who've worked in human resources say employees are right to be wary about filing their complaints with their HR departments. "HR people are taught to smile, and say 'Oh yes, you've done the right thing. And you should come to us and we're going to investigate this.' And it sounds like the company is on your side but it's not always the case," says business consultant Cynthia Shapiro. She spent years working as a human resources executive before leaving to write a kind of tell-all book called Corporate Confidential: 50 Secrets Your Company Doesn't Want You To Know — And What To Do About Them. She says HR has an inherent conflict. The department's job is to protect the company, she says, not the employee. And if you force HR to choose, Shapiro says, you will usually lose. "They will help you, as long as your interests don't run counter to the interest of the company, because you're not paying their salary, the company is," Shapiro says. "There are many HR departments that operate under an edict to shut you down, in order to protect the company. It's not evil, it's self-preservation," she adds. "One lawsuit can kill a company." It all comes down to a cold calculus, Shapiro says. Some firms will turn a blind eye to misconduct from a star employee, as long as his value outweighs his risk. But for those doing that math, the cost-benefit analysis is quickly changing. "It's a new day," says Lisa Brown Alexander, CEO of a consulting firm called Non-Profit HR. "The exposure, the damage to your corporate brand is immeasurable. We can't afford to ignore it." Alexander says companies that didn't get it before certainly do now. But, she says, reports of the "evil HR lady" are greatly exaggerated. Most HR professionals see themselves as having dual loyalties, she says, and they work hard to balance the interests of the company and the employee. "I don't know any HR people who would just turn a blind eye," she says. "Anyone worth their weight in salt knows that they have an ethical and professional obligation to conduct an objective, efficient investigation." Still, Alexander concedes, outsourcing HR to an independent third party is a cleaner model. (It's one of the services her firm offers.) In the same way, hiring an outside law firm to investigate complaints can boost employees' trust in the process. But some say outsourcing brings issues of its own. "I think the idea of just abandoning HR departments as the place to go, [is] too easy of an answer," says Fatima Goss Graves, president of the National Women's Law Center. "We don't want to let employers off the hook to really make their HR places welcoming places." In the same way, Goss Graves worries that anonymous tip lines could also absolve companies. In many cases, she says, callers don't leave enough information, and HR departments then say they couldn't properly investigate because they didn't even know whom to interview, and they couldn't act on "rumors." There is a kind of hybrid model that is gaining interest. It leaves HR in charge, but it puts an independent, outside counselor in the employee's corner. It's kind of like offering an on-call attorney, or union rep, to employees who don't have one. One such service, called Bravely, likens the service to "HR urgent care." "We offer an alternative starting point that's totally confidential, and totally safe, because it all lives outside the walls of the company," says Bravely CEO Toby Hervey. "We try to be that objective source of truth and a neutral perspective on what the company policies are, and what they can expect if they go forward ... with what's a really emotional and stressful set of circumstances." Many who've used the service say they wouldn't have otherwise gone to HR. "I was worried that HR would look out for the company and that would leave zero space for looking out for me," says one woman, who says she was far too fearful to report her harassment to her HR department. "I worried I would be blackballed from ever getting a promotion or being trusted by the company," she says. She asked that her name not be used in this report, out of similar concerns for her career. But after her Bravely "coach" walked her through what to expect, it gave her the comfort and confidence to come forward. "This was someone I could trust," she says. "It was really good objective advice ... and it helped me take the emotion out of it. I would have been lost without that." Hervey says many companies actually pay for the service as an employee benefit, hoping it helps with employee retention and helps nip problems in the bud. Employees frustrated with HR can also file a complaint with the EEOC. Traffic to the agency's website spiked up to eightfold recently. "I take no pleasure in saying that none of this is a surprise to us," says acting EEOC Chair Victoria Lipnic. But Lipnic concedes the agency is already struggling to keep up with the cases it has, and only a tiny fraction get litigated. Also, because Title VII only protects employees, it's no help to independent contractors like actresses, for example, (who also don't have HR departments). Lipnic says it may be time to think about expanding the statute, but, she adds, laws alone are not going to end sexual harassment. "What we're seeing is that the [threat of] liability has not had a huge impact," Lipnic says. "That was part of our frustration ... that doesn't seem to be making much of a dent in any of this. It's one reason many are opting for a more direct way to get through to the C-suite. "We all have megaphones right now and we can take some power back," says HR consultant Laurie Ruettimann. She says women have clearly got the message that many companies oust longtime perpetrators, only after they're publicly outed on the front pages or in social media. "I know a lot of people are really skeptical of the #MeToo movement right now," she says. "But the power in that is that it hopefully encourages another individual to be brave, and that can snowball in a positive way." Many are also opting to post anonymously on websites like Glassdoor, a job search site that includes company reviews by employees and former employees. One anonymous review, for example, says "sexual assault is rampant and HR doesn't care." Another condemns a company for a "hostile environment" because of allegations that remain unaddressed. But, on the positive side, a post about another firm boasts that "sexual harassers are not protected, they're fired." It's an effective way to hold companies accountable and to warn other employees, says Wharton School professor of management Peter Cappelli, as long as it doesn't skid out into a kind of vigilante justice that tramples employees' rights to due process and confidentiality. "There are a lot of people who are wrongly accused," he says. "And a system that can damage people's reputations simply on the basis of being accused, would be troublesome." But, Capelli says, outing the companies that are not taking allegations seriously is a reasonable tactic, especially when complaints are getting nowhere with HR. The discussions are happening in boardrooms and by water coolers as companies, including NPR, oust executives accused of sexual harassment. Many are rethinking how complaints are handled. One question is whether human resources departments are willing or able to do the job. NPR's Tovia Smith reports. 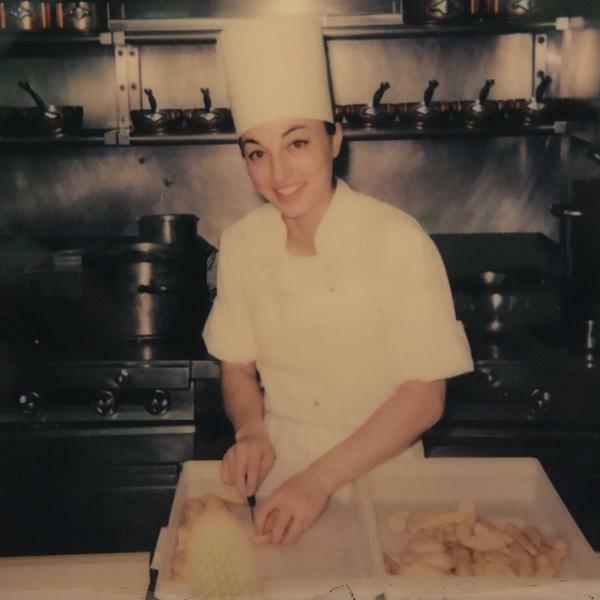 TOVIA SMITH, BYLINE: Sophia Dean was 25 years old working a dream job cooking in a fancy restaurant when she says a co-worker started harassing her. SMITH: Dean didn't want to report it to her human resources department. She feared they'd see her as the problem. DEAN: I was worried they'd rather move someone away who's whistleblowing, like don't want any scandal, don't want any issues, don't want anything, so I was worried that I would be the one punished. SMITH: Eventually, the harassment got so bad she did go to HR, but she says they basically told her to ignore it. DEAN: You know, we're sorry that that happened to you. But, you know, that's the way that kitchens can be. SMITH: A month later, Dean quit and got a new job only to experience similar harassment there and, she says, the exact same response from HR. DEAN: To me, it confirmed that they would much rather sweep it under the rug. And I felt like they were for the company rather than for the employees. SMITH: She's hardly alone in her misgivings. Just about a quarter of employees who experience sexual harassment report it, according to the federal government, and even some who've worked in human resources, like HR consultant Cynthia Shapiro, say employees are right to be wary. CYNTHIA SHAPIRO: HR people are taught to smile and say, oh, yes, you know, you've done the right thing, and you should come to us, and we're going to investigate this. And it sounds like the company's on your side, but it's not always the case. SMITH: Shapiro says HR has an inherent conflict. Their job is to protect the company, she says, not the employee. SHAPIRO: They will help you as long as your interests don't run counter to the interests of the company because you're not paying their salary. The company is. And there are many HR departments that operate under an edict to shut you down in order to protect the company. SMITH: It comes down to a cold calculus, Shapiro says. A firm might keep some star employees despite alleged misconduct as long as their value outweighs their risk. But that cost-benefit analysis is quickly changing. LISA BROWN ALEXANDER: You know, it's a new day. You know, the exposure, the damage to your corporate brand is immeasurable. We can't afford to ignore it. SMITH: HR consultant Lisa Brown Alexander says companies that didn't get it before do now. But she says reports of the evil HR lady, as she puts it, are exaggerated. She says most HR professionals see themselves as having dual loyalties to the company and the employee. ALEXANDER: I don't know any HR people who would just turn a blind eye. Anyone worth their weight in salt knows that they have an ethical and professional obligation to conduct an objective, efficient investigation. SMITH: Still, Alexander concedes outsourcing HR to an independent third party is a cleaner model, in the same way hiring an outside law firm to investigate complaints can boost trust in the process. But National Women's Law Center president Fatima Goss Graves cautions outsourcing can create issues of its own. FATIMA GOSS GRAVES: I think the idea of just abandoning HR departments as the place to go, I think that, you know, that's too easy of an answer. We don't want to let employers off the hook to really make their HR places welcoming places. SMITH: Another kind of hybrid model leaves HR in charge but puts an independent, outside counselor in the employees' corner. Toby Hervey, CEO of one such service called Bravely, says many who've used it wouldn't have otherwise gone to HR. TOBY HERVEY: We offer an alternative starting point that's totally confidential, totally safe because it all lives outside the walls of the company. And we try to be that objective source of truth and a neutral perspective on what the company policies are. SMITH: Hervey says many companies actually foot the bill for the service, hoping it helps with employee retention and helps nip problems in the bud. Another option for employees frustrated with HR is to file a complaint with the Equal Employment Opportunity Commission. Traffic to the agency's website spiked up to eightfold recently. But the EEOC is chronically backlogged, and it's not an option for independent contractors like actresses who also don't have HR departments. And that's one reason many are opting for a more direct way to get through to the C-suite. LAURIE RUETTIMANN: We all have megaphones right now, and we can take some power back. SMITH: HR consultant Laurie Ruettimann says women have got the message that many companies only oust longtime perpetrators after they're publicly outed. RUETTIMANN: I know a lot of people are really skeptical of the #MeToo movement right now, but the power in that is that it hopefully encourages another individual to be brave, and then that can snowball in a positive way. SMITH: Employees are also posting anonymously on websites like glassdoor.com, a job search site that includes company reviews. One, for example, says sexual assault is rampant and HR doesn't care. Wharton School professor Peter Cappelli says it's an effective way to hold companies accountable and to warn other employees as long as it doesn't skid out into a kind of vigilante justice that tramples the rights of the accused. PETER CAPPELLI: You know, there are a lot of people who are wrongly accused, and a system that can damage people's reputations just based on being accused would be troublesome. SMITH: But Cappelli says outing the companies who are not taking allegations seriously does make sense, especially when complaints are getting nowhere with HR. Tovia Smith, NPR News. Transcript provided by NPR, Copyright NPR.